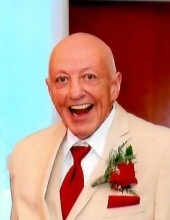 John Powell Mowry, 71, passed away Sunday, March 17, 2019 at his Reservoir Rd., Pascoag home, surrounded by his family. He was the loving husband for 29 years of Brenda (Turenne) Mowry. Born in Whitinsville, MA, he was the son of the late Elton and Mary (Simpson) Mowry. John worked as a printing clerk for Hasbro Inc. of Pawtucket, retiring in 2011. John was a member of the US Army from 1967 to 1969 and served in Vietnam. He was a member of Cercle Laurier of Woonsocket and former member of Enrico Caruso Society of Manville. He was an avid New England sports fan, loved the Beatles and History. He was an avid reader, an author, loved to play Pitch and Cribbage and enjoyed hiking. (Please don't call the house between 7:30 to 8 PM because he is watching Jeopardy and will not answer the phone)! Besides his wife, he is survived by a son Jackson P. Mowry and his wife Holly A. of Attleboro, MA; his daughter Jillian M. Jodoin and her husband Jacob A. of Chepachet; two brothers: David Mowry of Sebring, FL and Thomas Mowry of Greensboro, NC and and was "Beepa" to his loving grandson Elliot B. Jodoin. To send flowers or a remembrance gift to the family of John Powell Mowry, please visit our Tribute Store. "Email Address" would like to share the life celebration of John Powell Mowry. Click on the "link" to go to share a favorite memory or leave a condolence message for the family.